Carbox footwell mats are made to an exact fit. The design alone practically prevents the mats from moving around. For additional stability the footwell mats come with a clip system. In the winter months in particular these high quality mats provide effective protection against mud and wetness. Your car therefore keeps its value for longer. The clips are easy to release in just seconds for the footwell mats to be taken quickly and easily for cleaning. With a footwell mat from Carbox you can be sure of getting to your destination not just in clean and tidy shape but safely too. 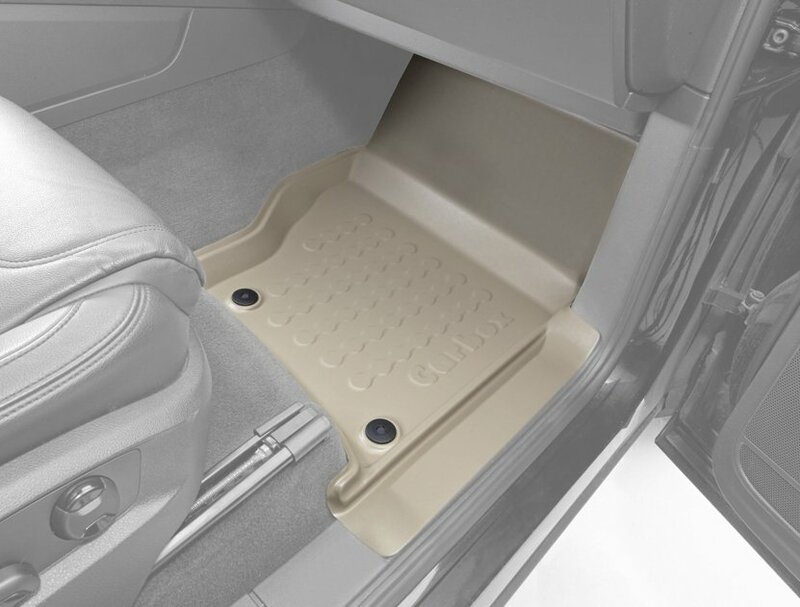 Our footwell mats have rims of up to 5 cm in height depending on the shape of the footwell. This prevents rainwater and slush dripping over the edge. The mud from your boots falls into the footwell mat rather than getting spread all over the footwell.